From Macedonia, Raw_Geometry by Noitu. And this joins other audiovisualism presented with CDM tonight in Belgrade. Photo courtesy the artist. From the beating heart of Europe, audiovisual electronic instrumentalism continues to thrive. We’re fortunate to bring a slice of that scene to you. And from that stage, we can share to you a gathering of experimental and underground DJs, producers, and audiovisualists. 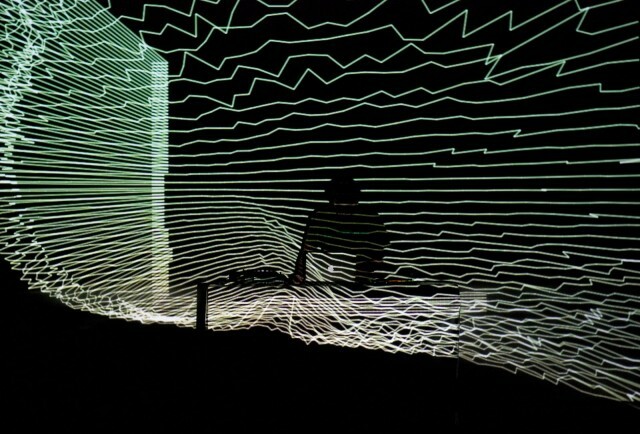 With roots in the IDM scene of yore, they’re not only pushing electronic music sounds spanning ambient and dance, but immersing audiences in tightly-choreographed visualizations of that work. Think “techno” in the broad sense, rather than genre-specific — techno as “jazz.” And think performance that emphasizes the live, that combines optical immersion with the sonic experience, rather than only letting a t-shirt clad person hop up and down in the dark behind mysterious equipment. Abduct – Ab/Dx from Abduct on Vimeo. Abduct (Rodrigo Guzman, Mexico) has co-curated the night with us and put together a lot of this scene. Hailing from Mexico, he has in the past year re-centered on Europe, where he’s drawing new connections between audiovisual artists pushing the boundaries of what’s possible in club environments. He’s also a vvvv virtuoso, able to sketch visualizations of music in rapid-fire patches using this powerful Windows graphical programming tool. With more granular machinations in the modular Usine environment, plus powerful sequencers ticking away in Reaktor (hosted inside Ableton Live sets), he stretches and crunches sonorities live as he plays. 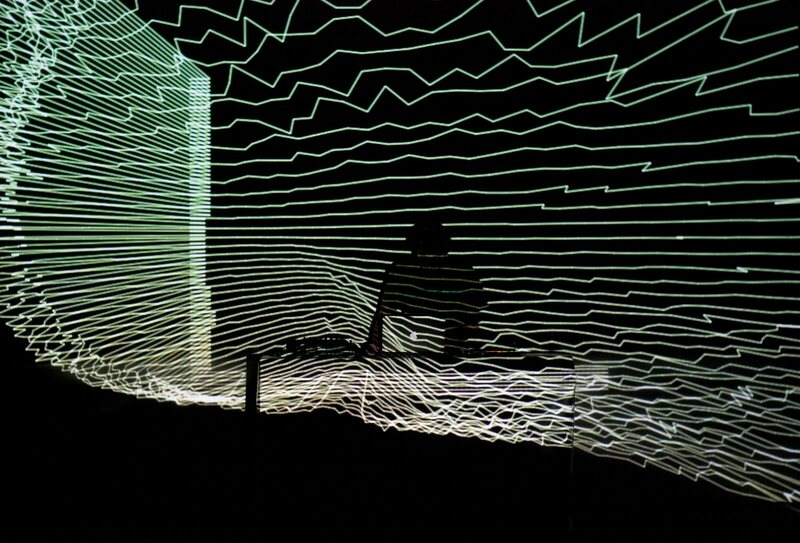 “RAW_GEOMETRY” is a realtime audiovisual performance, developed with a clear focus on live stage appearance. Atmospheric, mechanical and precise, this work represents a blend of finely crafted electronica with clean glitchy aesthetics and extremely tight rhythmic arrangements, all synchronized with intense geometric visuals. The concept itself is dealing with perception, perspectives, forms, precision, distortion and much more. An absolute test of the human senses, and can be positioned somewhere between conceptual art, experimental music and club culture, equally suitable in a club environment and concert halls as well as theatrical stages or places like museums, galleries and cinemas. The visual artwork is achieved using a combination of generative tools in various programming environments with a main role of Quartz Composer, the output is generated using a various audio-reactive and light-reactive patches and then all mapped into Ableton Live for perfect A/V synchronization. The audio part is sequentially developed over a period of more than a 2 years and represents a tight selection of artist’s best sound production till date. leaving the planet AV live performance from leaving the planet on Vimeo. Leaving the Planet (Germany) (David Gann) delivers classic ambient sounds, thick-as-fog pads with calculated beats peeled over the top. As with Rodrigo, the Konstanz-based artist explores a series of audiovisual etudes, fusing visualization and sonic structure into single, unified performance interfaces. Above, one such exploration – it’ll be great to see what he does this evening. Teaser of what i’m spending my nights on. Sound is part of the leaving the planet live performance and was played live. Visual was then rendered in realtime on a heavy rendering machine. The different parts can be controlled via ableton live which communicates to vvvv. So if i’m hitting a specific clip a specific camera motion is selected and the audio reactivity changes. From the dance-ier end of the spectrum, we return to Belgrade producer/DJs. with “sleazy, minimal electro and acid beats,” MKDSL (‘Mom Says I’m Pretty’ in Serbian) is Marko Carko (Serbia). Marko has been a major staple of the club scene here for the past decade, a versatile producer and DJ able to tread across a wide variety of eclectic sounds. And yes, I will also be back, performing live ambient/experimental techno. Can’t wait. We’ll get to know more about what these artists and others in the scene are doing, and how they make these connections between sound and image, so let us know areas of interest.